Whether it’s during an important meeting at work or over a fancy Friday night dinner, there’s one thing you don’t want anyone thinking when you’re speaking: what’s that smell? If you’ve got breath problems that are more than temporary, you could be suffering from gum disease. It’s a smelly problem that affects more than the odor in your mouth — it can put your heart health at risk, too. The good news is that it’s easily prevented — and your Burlington dentist is here with five excellent prevention tips. Keep these tips in mind and protect yourself from gum disease — and its smelly side effects! Flossing also provides a vital defense against gum disease, as it helps to remove bacteria hiding between teeth and close to the gumline that a toothbrush can’t reach. You should make sure to floss thoroughly at least once a day — but if you just can’t seem to remember to do it, placing the floss near your toothbrush or somewhere else you’re sure to see it can help trigger the habit. What you eat plays a huge role in your mouth health. Make sure you’re keeping your oral health high by maintaining a good diet from all over the food pyramid: whole grains, lean proteins, fresh fruits and vegetables and low-fat dairy products. You know to avoid sugary snacks and beverages — but when you do partake (as we believe everyone should from time to time) make a habit of rinsing your mouth out with water after. This action will go a long way in removing decay-causing bacteria — and pretty soon it’ll be a clean feeling you’ll crave. As if you needed another reason to kick the habit. Tobacco in all forms — that’s cigarettes, cigars and smokeless — make your teeth more vulnerable to decay, and put your gums at a higher risk of developing gum disease. And once you have the condition, tobacco makes proper healing slower and more difficult. Good preventive care will go far in ensuring you never have to deal with gum disease. One element in good preventive care is maintaining your twice-annual oral checkups. These visits are your dentist’s chance to notice the small but significant signs of gum disease — like swollen, red, tender gums. Should you develop the symptoms of gum disease, don’t think that means you’re forced to live with swollen gums and bad breath forever. When caught early, gum disease is easily treated and often reversed. Your treatment may mean little more than extra-vigilant brushing and flossing plus a few more professional cleanings — or it could require something we call scaling and root planing. 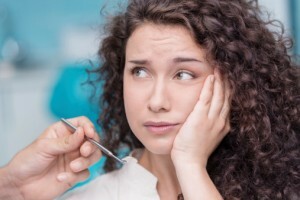 Whatever you need, you can be sure your dentists at Complete Dental Care will carefully evaluate your situation and put together a treatment plan that’s fit just for you and your gums. If you think you have the signs of gum disease, or if it’s been awhile since your last dental exam, don’t hesitate. Request your appointment with your dentist in the 01803: Complete Dental Care in Burleson, MA.